Yesterday, I accompanied the boyfriend, Paolo to SM North Edsa Annex to help him with his Christmas Shopping. 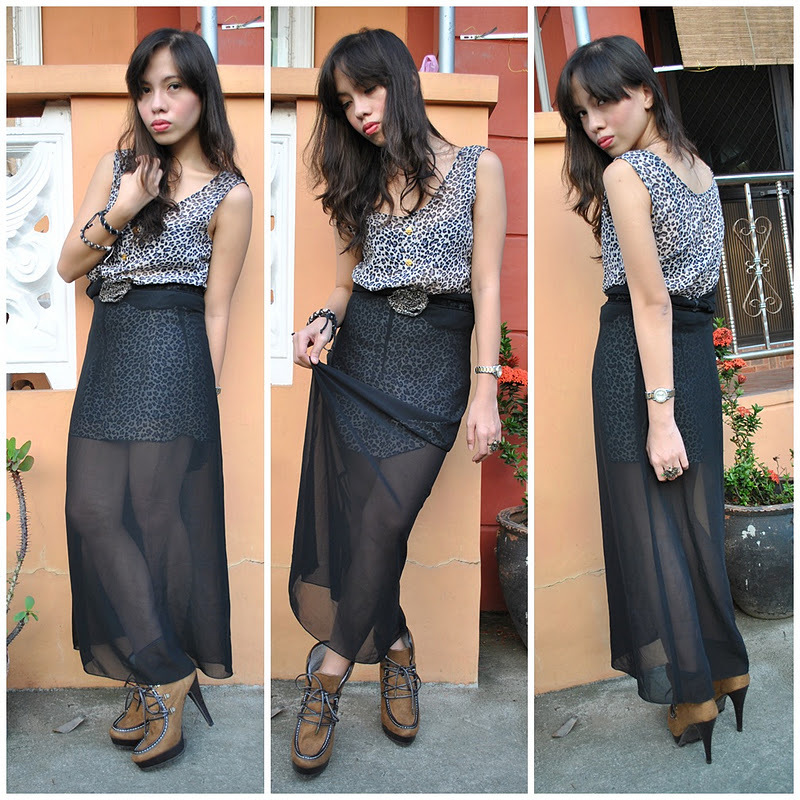 Before I left to the mall, I politely asked my cousin, Aizza to take my outfit shots on their front yard. (Obviously, haha). I've been wanting to wear this sheer maxi dress I won a number of months back from NLF's Blog Giveaway (My Own Thrift Shop) but its only now that I had the chance to finally wear it. Decided to wear it as a skirt on top of an animal printed dress (cause the dress is too short and I wanted to give it a more dramatic look). And at around dinner time, I managed to help Pao in his Christmas shopping.. Boys will be boys. We had to buy his car mats and accessories first! Then dinner at Bigoli afterwards. wow bigoli looks yummy :) must try! love your outfit, rovie! and nice shoes from denise! You really are amazing in thrift shopping! Your clothes always look expensive I really wouldn't have guessed until you said it! And you did a great job with that sheer dress! it gives the printed dress a more boho twist!!! Merry xmas! Great sheer dress, and the food looks yummy!